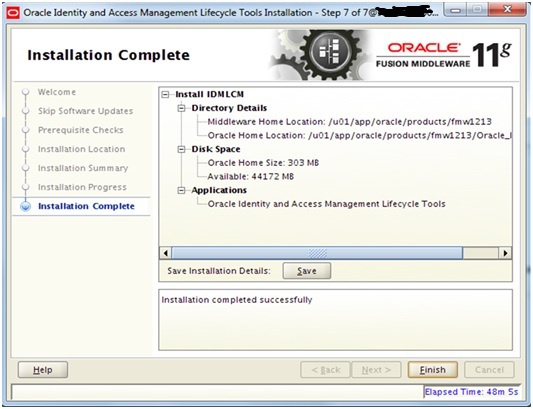 The Life Cycle Management tool i.e LCM can be used to automate the Installation,Deployment,Configuration and Patching the software. In this lab we are going to see the installation steps for LCM. Note: Here we are assuming that you have downloaded the software and you have run the pre health check utility. Also create the folder structure as described here in section 2.5 About the Deployment Repository and LCM Tools Directory Structure. 1) Go to repository home where you have placed the software for LCM and run the command as shown below. 2) On the welcome page click Next. 3) Install Software Updates window appears. 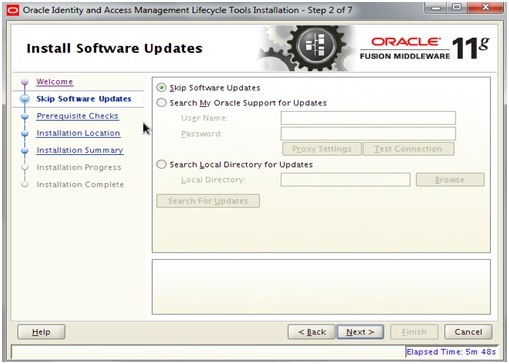 Select Skip Software Updates radio button and click Next. 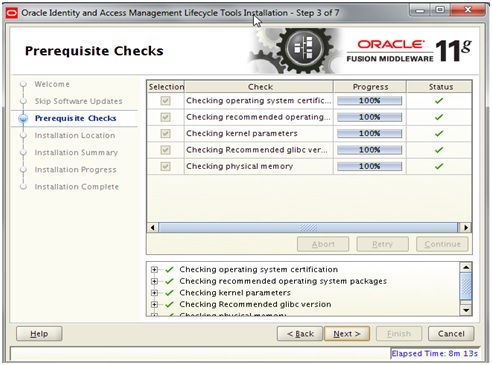 4) Prerequisite Checks screen is displayed. Ensure all the prerequisites are successfully verified, and then click Next. 5) Specify Installation Location screen is displayed, provide the following inputs as per your environment and click Next. 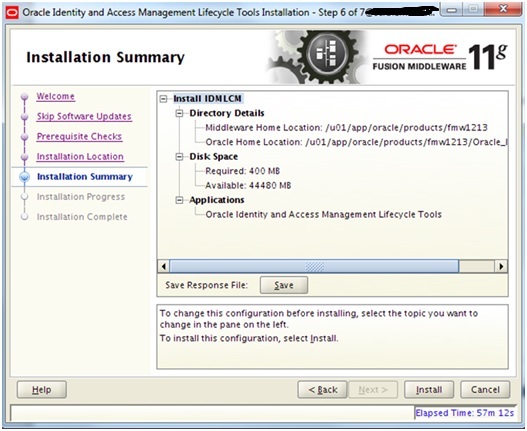 6) Installation Summary screen is displayed. Validate the directory details and then click Install. 7) The installation should now continue and the status will be displayed in the progress page. oracleRoot.sh Confirmation Dialog box appears. DO NOT click on OK until the script described in below figure is not executed as root unix user. 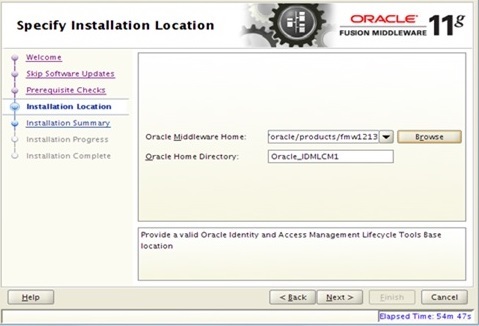 Once logged in navigate to the Oracle Home Location and execute oracleRoot.sh. 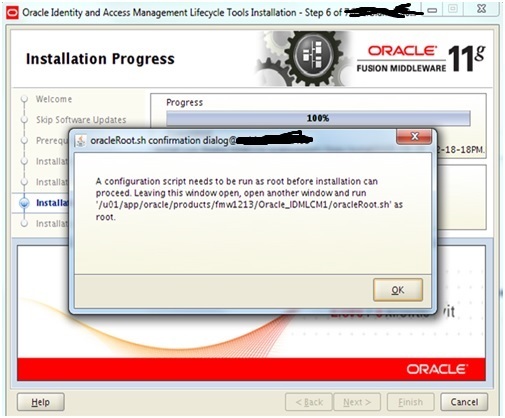 After the execution of the script click OK on the oracleRoot.sh Confirmation Dialog box. Click Next on Installation Progress screen. 8) Installation Complete screen is displayed. Click Save to save installation details. Click Finish.